Having been a long time fan of Delicious, it is heartening to know that the cafe has picked up steam of late with 25 new dishes developed by Group Executive Chef Kasdi Dahari with some assistance from the E&O's newly appointed Group Creative Chef Steve Allen. 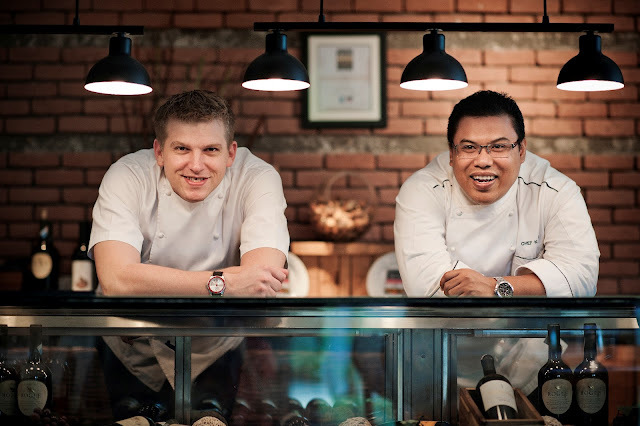 A tasting session recently left me hugely satisfied with the rejuvenated menu, ample proof that Delicious is ready to take it up another level post-Benjamin Yong (the cafe's original founder). 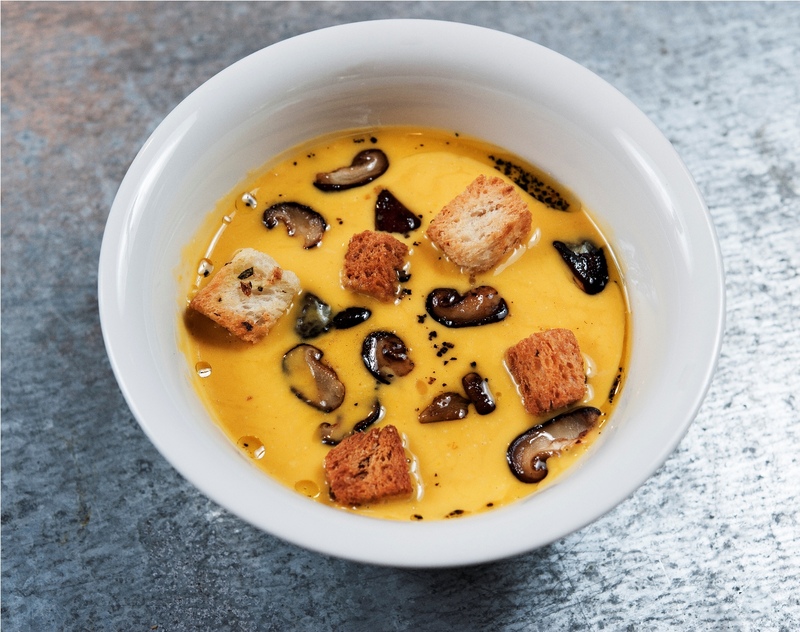 Chef Kasdi says, “The core inspiration was to use the freshest ingredients and more vegetables, to creating more healthy food as the trend progresses towards consumption of nutritious food and the use of more sustainable products. Sieving through more than 70 initial dishes, both chefs then shortlisted 45 for further testing and tasting until the list was whittled down to 25. So what are the new goodies you ask? I'd recommend starting with something crispy. 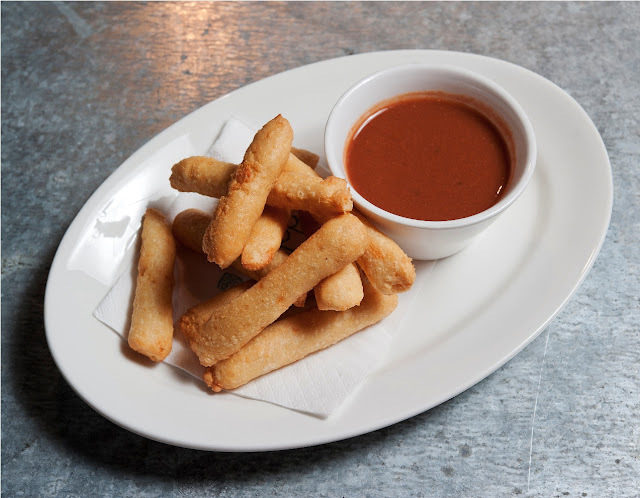 A top fave of ours is the Chickpea & Parmesan Bites (RM10.90) - finger-thick rolls of deep-fried chickpeas and parmesan. The tantalising dips of the Crispy Tiger Prawns in Coriander Batter with Lime Chilli Dip (RM22.90) and Thai Fried Calamari with Green Peppercorn Ginger Jam (RM22.90) really made the tasty tidbits truly outstanding. If you prefer something healthier, go for the Middle Eastern inspired Harrisa Parmigiano Baked Eggplant (RM22.90) or the sunny-yellow Cream of Pumpkin Soup with Parmesan & Truffle Oil (RM13.90). Prefer a walk on the indulgent side? 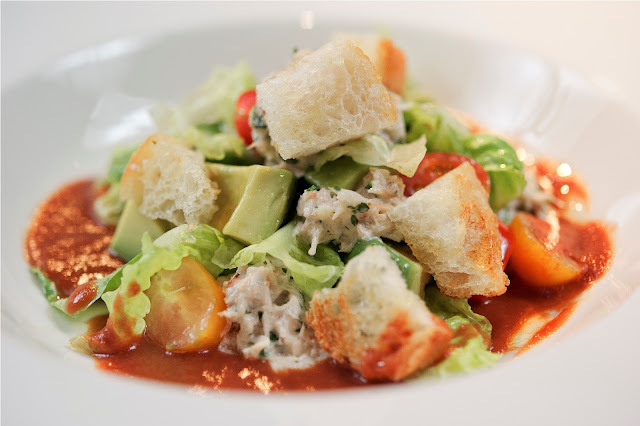 The Crab & Avocado Salad with Gazpacho & Cos Lettuce (RM26.50) is alluringly refreshing thanks to the unexpected inclusion of chilled gazpacho as a light tangy dressing. 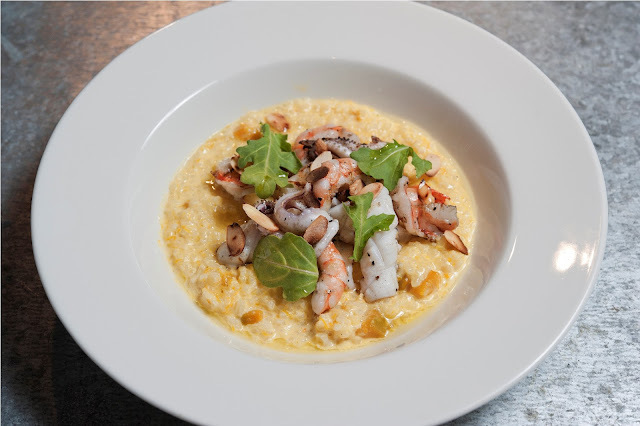 The two dishes that left us completely smitted are the ultra-creamy but to-die-for Italian Pumpkin Risotto with chargrilled prawn, squid and toasted almonds (RM22.90) and the imaginative Lemon & Black Pepper Parppadelle (RM22.90). It's also interesting how the Red Pesto Gnocchi with Tomato & Arugula (RM22.90) acquires a different textural dimension after the chewy pasta parcels underwent a brief grilling.I wasn't big on pesto either but this version goes down well as it's less oily than those I had tried in the past. No visit to Delicious is complete without savouring its divine dessert and sweet-toothed fans would have plenty to cheer about. Priced at RM14.90 each, I'd plump for the Lemon, Lime & Ginger Cake with Citrus Frosting anytime! Made using Steve Allen's granny's treasured recipe, this is what I would call a REAL cake minus the frills. The texture is feathery soft yet rich, with a deep-seated citrusy aroma and invigorating flavours that perk up your tastebuds, leaving you wanting more. 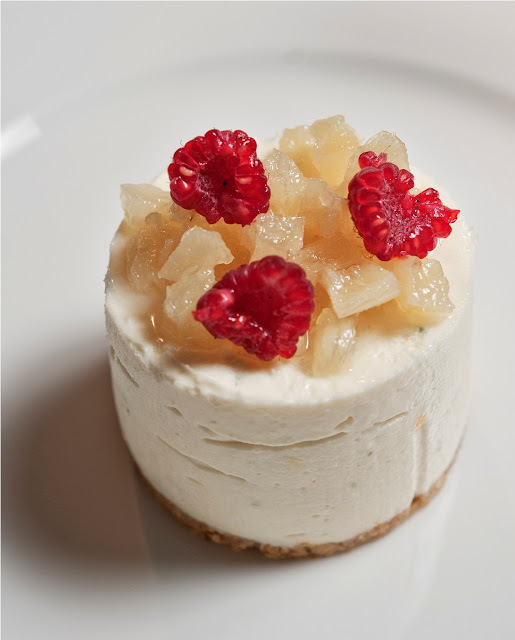 The Chilled Pineapple Cheesecake comes in a close second. Who could resist that crumbly oaty base, lightly rich creaminess and best of all, the hidden gem of a yummy raspberry mousse centre? 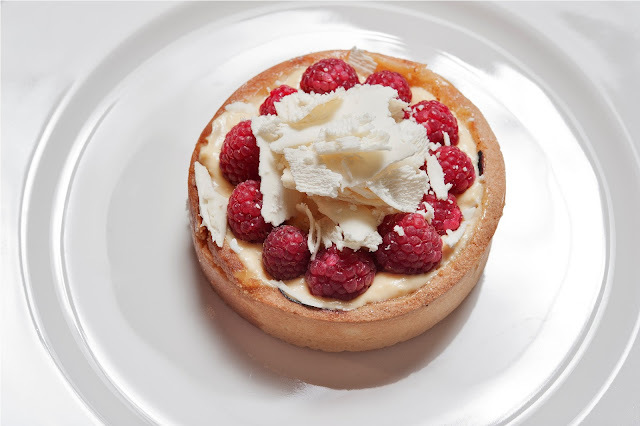 You may find it hard to stop once you taste the heavenly Raspberry & Mango Tart with White Chocolate Shavings and Warm ‘Chocolicious’ Pudding that simply melts your heart with its runny chocolatey filling. Oh, there's also the Cold Chocolate Fondant with its beguiling caramel centre!